Recently, I discovered that one of my favorite bands from high school, Eye Alaska, broke up. I was a bit devastated, to be honest. But then I started researching a little more and realized that the lead singer went on to do his own thing on a solo project. Brandon Wronski, formerly the lead singer of Eye Alaska, is now doing his own thing and blowing minds as Roy English. At least, my mind is blown. At first, I was a little shocked. He now goes by a new name, changed his entire look and also changed the type of music he’s making. However, when I looked more deeply, I realized that I love this new project even more than Eye Alaska. 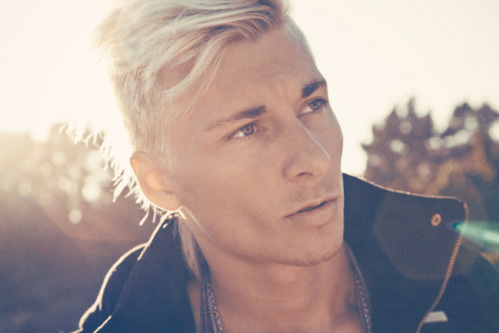 His music as Roy English is purely beautiful. So open. His lyrics convey his entire life and all the pain and struggles he’s been through. It’s truly eye opening and that’s what it’s done for me. After listening to all of his music for every day, all day, I can safely say that I’m not only addicted, but I feel a connection. Now, I usually don’t feel this way about musicians. Yes, music is a huge part of my life and it gets me through the days. But, Roy English has something even more than just pure lyrics and a wonderful sound flow. As a strong Christian and child of God, I always think it’s incredibly amazing to find musicians that have a close relationship with the Lord. When listening to the new live, unplugged, unreleased song he posted a couple days ago, “As We Grow Older,” I realized he knows God. I was completely blown away. I was already a fan but this realization was breathtaking. I listened more and more to his songs and found that his faith is apparent in the majority of them. Then, I started following him on Twitter and saw that he shares his faith there as well. I think it’s incredible to find a musician in this world that has faith so inspirational. If I wasn’t already hooked, this did me in. If you love what you do, work harder than your hardest, push yourself and believe that you can make a change, then you can. This is exactly what Roy English is doing.